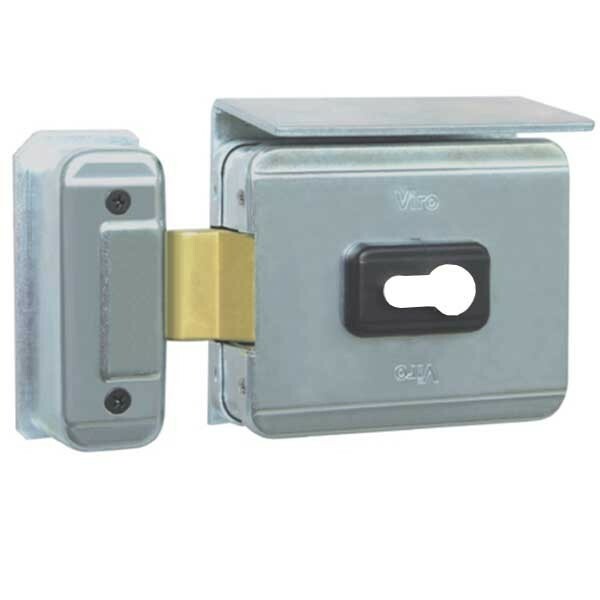 The V90 electric lock was specially designed for installation on manual or automatic outward opening doors and drive through gates. This type of opening is often necessary when the door/gate is situated on a slope. It is supplied as standard with the ‘Service’ function: the lock opens with a single electric pulse and only resets once the door or gate has been opened and then closed. For Outward Opening Doors & Gates. Galvanised Steel. Replaceable Double Electric Coil. Rotating Deadbolt. Service Function. Standard 12V AC. Key Override. Euro Profile Cylinder (Not Supplied).